Welcome to the Green Bay West Side Youth Baseball Website! 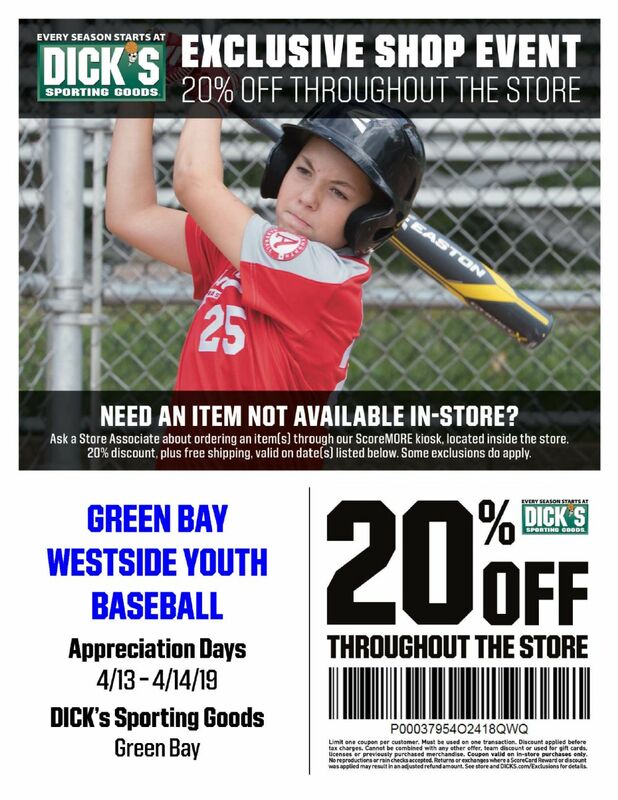 Green Bay West Side Youth Baseball is a volunteer organization run by a Board of Directors and co-sponsored by the City of Green Bay Parks & Recreation Department. Our Mission is to provide each player with the facilities, equipment, and supervision to learn and enjoy the game of baseball and to teach the players the principles of fair play and good sportsmanship. Our website is your one-stop location for communication and information regarding our program. Register for league, submit Feedback for the Board, discuss baseball topics in the Forum, and buy/sell/trade items in the Exchange. Please note T-Ball parents and players will have their own meeting before the season starts. T-Ball parents and players are welcome to attend tonight but it is not required. If you are registered for the 2019 Season please plan on attending. Also: This will also double as tryouts for anyone looking to play on the tournament teams.